Who does the roofing contractor hire? 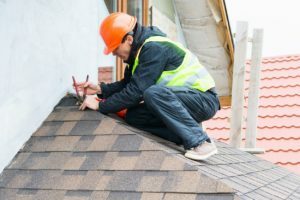 Are they local workers who are properly trained, certified, and experienced installing or repairing the type of roof being worked on? What materials does the roofing contractor use? Are they replacing a roof with bargain basement materials in order to cut costs, or do they use high-quality materials that come with manufacturer warranties? Do they stand behind their work? Is the work under warranty or are you on the hook for any repairs or defects as soon as the job is completed? Why should you interview your roofing contractor? Roofing isn’t a small task. Even a minor repair costs money to fix. You want to make sure you’re getting the best roofing company for the job. If you aren’t in the industry though, you won’t know what questions to ask. Getting to the heart of a company’s practices before you hire them is the best way to protect yourself and your investment. Before you hire any roofing contractors, make sure you ask them the right questions first. Make sure you get the answers you want before you move forward in the process. What business name are you registered under? You want to know exactly what their legally registered business name is. Making sure these match is important. You want to either hear an exact match, the company name followed by the business name, or the marketed name followed by Inc or LLC. [highlight]What should you watch out for? [/highlight] Companies that don’t seem 100% sure. You can always get paper verification by asking for a copy of their state license. This gives you the tools you need to identify whether they are properly registered in the state you reside. Do you have references? Every roofing contractor should have references. This allows you to easily view recent work and potentially follow up with an actual customer in person. Making sure that customers are satisfied with the work they received (the more recent the referral the better) can provide peace of mind and give you a better sense of how the contractor works. What is the full range of services you offer? Roofing contractors can vary greatly in the amount of work they do. Identifying whether or not they can meet your needs is critical. You’ll also want to find out whether they offer full roofing systems or not. A full roofing system involves brand matched products and frequently provides a longer manufacturer warranty that non-matched roofing products. These can extend manufacturers coverage of materials by as much as 10 years to a lifetime. What is the knowledge and skill level of your workers? Look for a roofing contractor that has trained and certified workers. The majority of companies have apprentices on the job being supervised by roofers with higher certifications. Make sure there will be an appropriate amount of experienced roofers on the job. This is a good sign that the work you receive will be verified for workmanship.